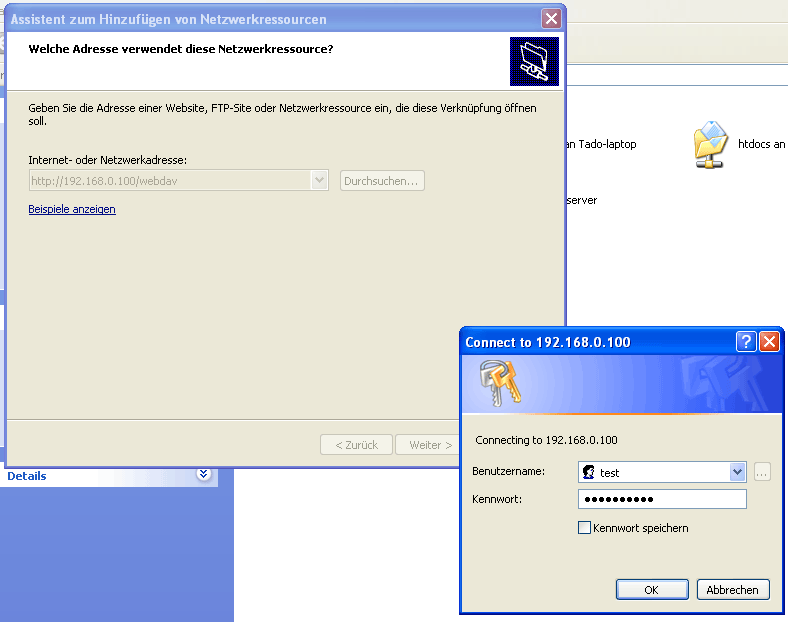 Enter http://192.168.0.100:80/webdav as the location and click on Next. 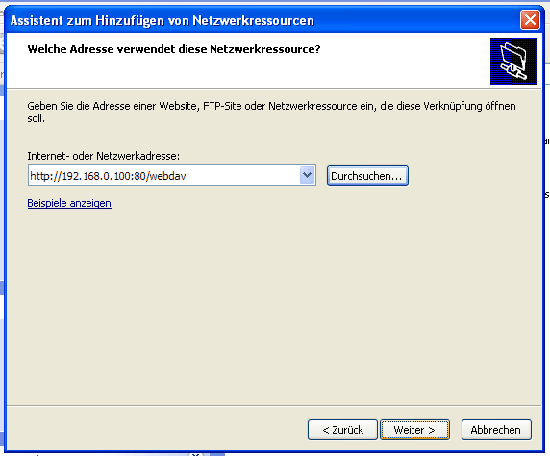 You must specify the port in the WebDAV URL (:80). 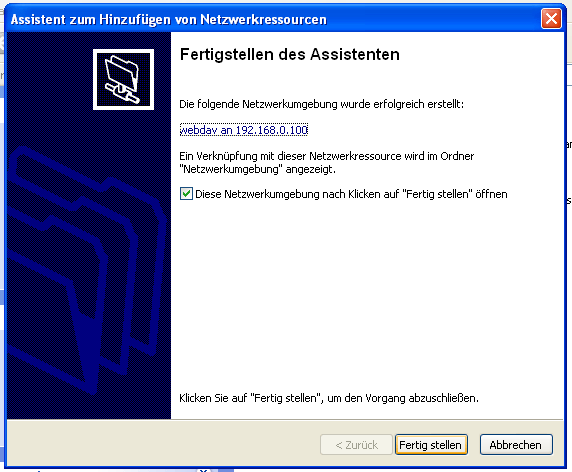 For some strange reason this makes Windows XP accept the normal username (e.g. 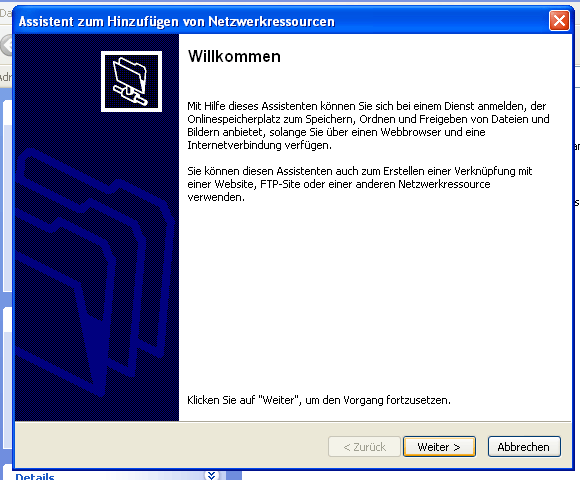 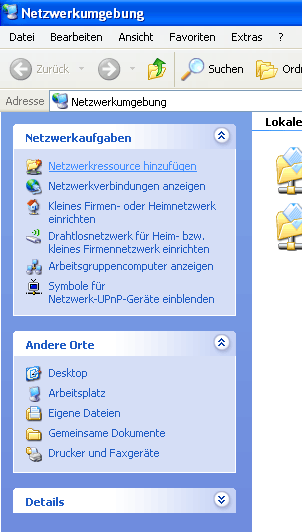 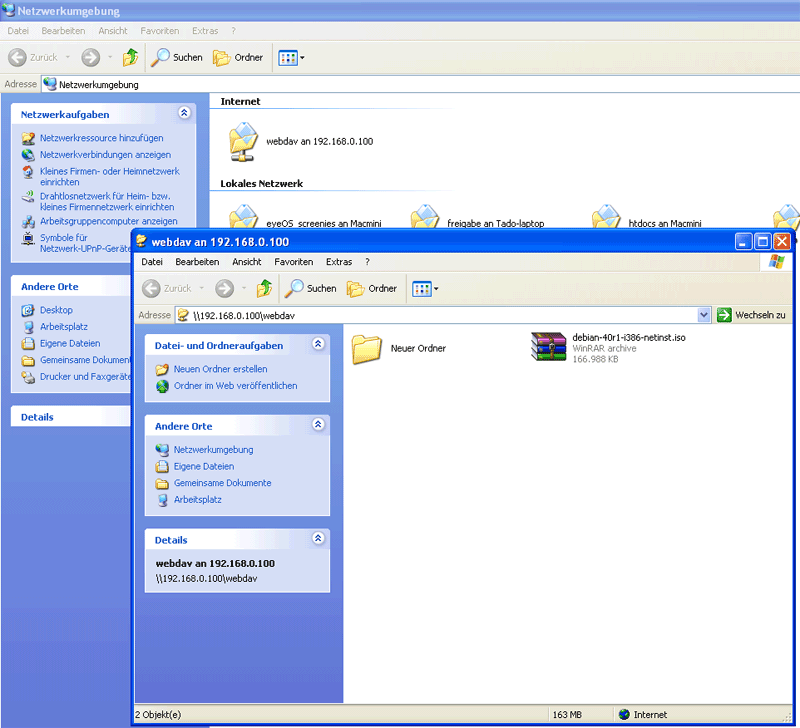 test) - otherwise Windows XP expects NTLM usernames (that would have the form www.example.com\test).